This elegant and timeless table lamp by Rugiano Interiors has a sophisticated design that is synonymous with the Rugiano lighting collection. Hand-crafted by skilled artisans in the heart of Milan, the Madrid Table Lamp draws inspiration from the glamorous Art Deco era. 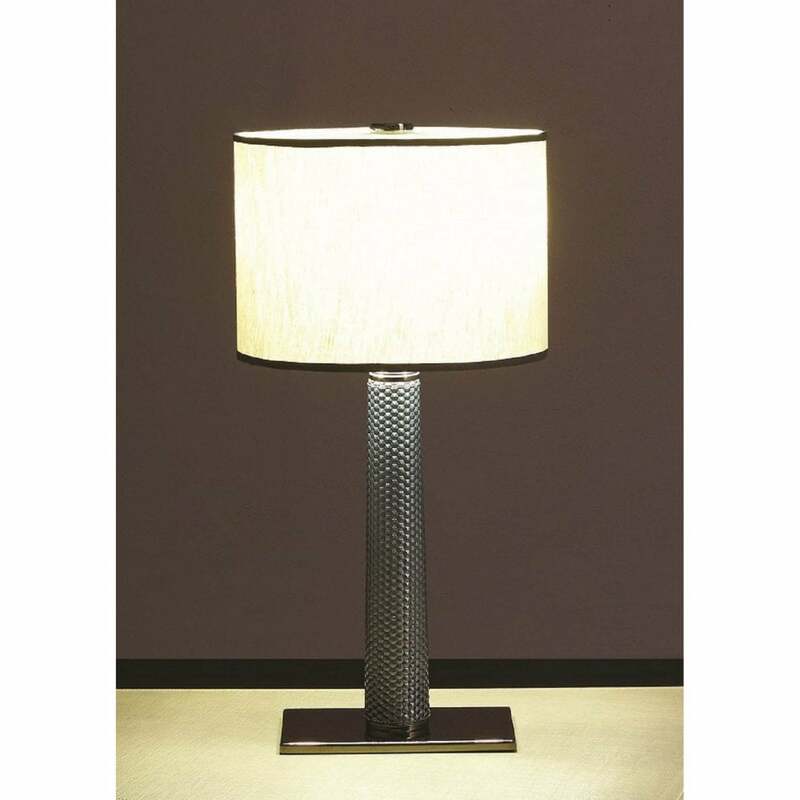 Upholstered in high-quality Pelle leather, the table lamp is finished with either a black chrome or bronze base. A must-have for any design lover, the Madrid Table Lamp can be realised with either a smooth or textured leather. Pair with the Onda Bed and Reko Bedside Table for tranquil bedroom scheme that will rival the finest hotels in Italy. Get in touch with our team for more information and advice.